and not forgetting the garter ( ooh la la ). We endeavour to capture all the emotion of the day, the laughter and tears and all the smiles along the way. We also understand that it can get quite stressful on the morning of the wedding and we are not there to make things worse but to lend an extra hand when necessary and be that calming influence when need be. 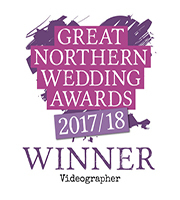 The second photographer will already be at the church, venue or register office capturing the grooms arrival with bestman and ushers, formal shots with parents and gents in suits will commence then will continue with shots of guests and families as they arrive. With two cameras we can capture the best shots possible both from the back and from the front when permitted…. Tissues at the ready after the register shots as bride and groom leave the church as man and wife. A kiss seals the deal so let the celebrations begin….. Although it is your wedding day we try and involve everyone and make it fun.. we don’t want you standing there for hours with smiles on your faces having your picture taken when you could be mingling with your guests and enjoying your day, we try and limit the amount of formal shots we take freeing you up to be with the most important people ( your guests ) however we know from experience that every mother or the bride wants the all important family shots so we create a fun atmosphere so everyone is happy whilst these are being taken…… again some of the best photography is catching moments that happen fast and are over too quickly, and we are watching for these moments all the time, a lot of the candid photography produces some of the best photos of the day, when people are not aware that they are being snapped. Weather and time permitting may see the appearance of the bright orange space hoppers and the bubble machine giving us the chance to catch the most fantastic expressions on peoples faces. As the evening commences with the arrival of your evening guests we are on hand to take any extra photographs that you may require, we mingle unobtrusively amongst your guests capturing reaction shots and fun shots. We spend an hour taking what we call you have been framed shots (asking your guests to hold a large picture frame, enabling us to take a picture of a picture) this has everyone laughing and once we start everyone wants to be in the frame…. Couple shots, table shots, group shots, we never stop as we believe you can never have enough photos. The main focal point of the evening is of course your first dance and with the two cameras we capture every angle as your bodies sway and you gaze lovingly into each others eyes. It is not always possible due to space to erect the backdrop at every venue, if this is the case we will still take the shots wherever we can. We will stay until 11pm capturing the fun of the evening. All photos taken are cropped and edited and put onto a disc given to you copyright free.